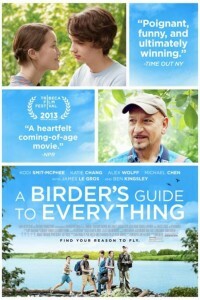 Based on the best selling novel of the same name, the movie A Birder’s Guide To Everything tells the story of David Portnoy, a 15-year-old birding fanatic, who thinks that he’s made the discovery of a lifetime. So, on the eve of his father’s remarriage, he escapes on an epic road trip with his best friends to solidify their place in birding history. In the movie The Young Kieslowski, two brainy and awkward virgins hook up (drunkenly), fall in love (maybe), and get pregnant (twins). .